It would be in strategic error if India considers the myriad of political events occurring within Afghanistan as subject matter of its foreign policy. The security situation in Afghanistan has direct bearings on India’s national security and hence must be considered as an internal security matter – at least from an ‘imaginary strategic perspective’. According to declassified (2007) cables (US State Department) and documents (US Intelligence Reports) preceding the 9/11 event states – “the use of Taliban terrorist training areas in Afghanistan by Pakistani-supported militants in Kashmir, as well as Pakistan’s covert effort to supply Pashtun troops from its tribal regions to the Taliban cause in Afghanistan-effectively forging and reinforcing Pashtun bonds across the border and consolidating the Taliban’s severe form of Islam throughout Pakistan’s frontier region”1. Dr. Habiba Sarabi – it was al Qaeda or some other foreign elements3. 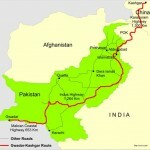 The problem for India – as it is for the rest of the world – is centered in between Afghanistan and herself – in Pakistan4. Pakistan fears that India is currently pursuing a policy of creating an anti-Pakistan Afghanistan and thus gaining access and near-permanent presence in its rear-echelon5. This fear according to Lt Gen Vincent Stewart, Director, Defense Intelligence Agency of USA in his disposition to the State Armed Service Committee(May, 2017) drives Pakistan’s Afghan policy that seeks a Pashtun (42%) dominated ruling class in Afghanistan at cost of other minorities such as Tajik (27%), Uzbeks (9%), Hazara (10%), Aimak (4%), Baloch (2%), Turkmen (3%) and others (5%) and there by maintaining a near permanent influential presence within Afghan polity6. India has been proactive in matters relating to reconstruction of Afghanistan and has remained key in its current phase of re-organization along with other powers – the US, Russia, Pakistan, Iran, China, Saudi Arabia, Qatar, UAE and NATO members. Unlike other powers investing in short-term high visibility projects, India’s approach seeks to address underlying structural problem7. By 2007, India was the fifth largest donor of aid to Afghanistan (behind US, Japan, UK and Germany) having disbursed US $ 204.26 million and had pledged US $ 1 billion in September, 2016. India began training Afghan National Army officers (2013) and armed police (2017), and handed over its last of the four military helicopters to strengthen Afghanistan’s air arm in July, 2018. However, India has assumed a minimalistic stand on matters relating to Afghanistan’s security as it unfolds in the future. It is China, Russia, and the US that are shaping the future discourse given that India follows the policy of not engaging Taliban. In November 2018 India in a first send two retired bureaucrats to regional forum hosted by Russia and encourages initiatives by other major powers in seeking a stable situation in Afghanistan8. With tremendous goodwill in Afghanistan and a bond built over thousands of years of history [President Ashraf Ghani] India has set an example for development assistance in Afghanistan and has been rightly acknowledged for it by Afghan people and leaders of major powers such as the US9. However, when it comes to matters related to military security, reliance on soft power alone would not suffice and requires a well-crafted long-term strategy10. For its modest but effective non-military contribution, in 2008 the Indian Embassy bombing in Kabul killed 58 and injured 141 persons and again in 2009 killed 17 people. In May 2014, three heavily armed insurgents hit the Indian consulate in Herat. 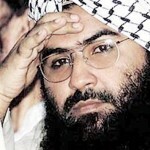 Previously, when the whole world was busy celebrating in welcoming the millennium, India was caught helpless in dealing with the hijack of its passenger airline (IC-814) that ended in the humiliating televised handover of Masood Azhar and two others at Kandahar airbase guarded by Taliban security personnel (31 December, 1999). Such a situation or even worse can erupt any time after the US withdrawal when Afghanistan plummets back into civil chaos and becoming a land of opportunity for radical Islam to re-launch their jihadi pursuits worldwide11. The problem is clear and present and unlikely to get permanently resolved – radical Islam. 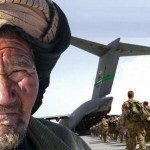 The rational for US withdrawal put forward by the US Department of Defense (December, 2018) is its belief that by use of military force the US has succeeded in pushing the Taliban to the negotiation table along with the increased confidence in Afghan state to administer security without external assistance. The US currently maintains approximately 14,000 military personnel in Afghanistan as part of NATO’s Resolute Support (RS) mission and Operation Freedom’s Sentinel (OFS).While India agrees to US-Taliban talks, it emphasizes on it being “unconditional” (General Bipin Rawat), however Taliban has already deliberated its condition which avoids even a hand shake with Afghan government – a prize creation of the US. Taliban had sought to reschedule the talks in January, 2019 hosted by Saudi Arabia to Qatar to avoid being cajoled to talk with Afghan government13. With President Trump revoking the policy of not directly engaging the Taliban since July, 2018 Taliban has not once held discussions with the Afghan government – “puppet installed by the Americans and imposed on the Muslim Afghan nation,” and without any real power14. No direct talks with the Afghan government which is illegal and imposed on the Afghan people by the US. Direct engagement with the US government which holds real power in Afghanistan. Afghan Government to rescind the Bilateral Security Agreement (BSA) with the US signed in 2014. The previous adherence to values of radical Islam was a mistake and is likely to be not repeated during the post-occupation situation. The main subject of peace talks is the absolute withdrawal of foreign military presence on Afghan soil. However, the question of the US retaining military base is negotiable. Islamic Emirate of Afghanistan (IEA) will guarantee the no use of its soil to support terrorist organization (Daesh/ISIS) which targets its neighbors. IEA will show zero tolerance for drug trade that happens under the supervision of the occupying force. Afghanistan is an Islamic nation and will run according to Sharia law. The in-vogue constitution is not a problem but its execution. Minor corrections will be undertaken to bring the constitution in line with Islamic laws. Afghanistan will seek security guarantee from United Nations (UN) and other organizations such as Organization of Islamic Countries (OIC) and seek cooperation and development assistance from wider international community. A nationwide amnesty would be announced and no one from the police, army, government employees or anyone, would face any revengeful behavior from the Taliban. Media will be accepted but without absolute freedom. Rights of women will be upheld but influence of alien culture will be restricted. Peace talks with Taliban are now being considered vital to the future security of Afghanistan by all major stakeholders, but India and the Afghan government17. Direct talks with Taliban indicate the urgency with respect to the US withdrawal from Afghanistan without taking into account the future prospects of such a deal and primarily articulated in terms of a short-sighted strategic perspective. The problem with Taliban is that it is both Afghan and Pakistan in content18. How Taliban behaves during the post-withdrawal phase is not restricted to the political dynamics occurring within Afghanistan but also Pakistan. From this perspective, Indo-Pak relations will remain central to the equation of strategic stability in Afghanistan. It is perhaps the dawning of this strategic reality that guides President Trump’s the ‘South Asia’ strategy which was previously articulated in terms of the ‘Af-Pak’ strategy. It makes no sense to negotiate peace with the very persons who are on your most wanted list. For example Sirajuddin Haqqani [son of Jalaludin Haqani – founder of Haqqani network] who is based at Miram Shah, North Waziristan (Pakistan) and designated as deputy to Taliban’s new leader Haibatullah Akhundzada in May, 2016 after Mullah Akhtar Mansour was killed in a drone strike19. The other deputy along with Sirajuddin Haqqani is late Taliban founder Mullah Omar’s son Mullah Yakoub. The world in general and the US in particular is now engaging in peace negotiation with same organization whose leadership is a sworn enemy of the US. The rise of Taliban movement in 1994 against the growing lack of law and order that followed Soviet withdrawal and support leading to in-fighting amongst various warlords was in many ways based in Pakistan. The Pashtuns Talibs [religious scholars] from Madrassa’s based in Pakistan were a constant source of manpower required for military operations by Taliban in Afghanistan. Taliban’s linkages with Al-Qaeda, Daesh (IS/IL), Haqqani network, and Pakistan’s ISI has promoted it to being factor of instability in Afghanistan contrary to the objectives it may have envisaged in 1994. Moreover, Taliban since 1996 is no longer limited to the causes within Afghanistan but represents the struggle of the faithful (believers) world over. Since the designation of Mullah Omar as the Amir-ul momineen (Commander of the Faithful) at the Shrine of the Cloak (Kandahar) in 1996 allows Taliban to operate on behalf of all Muslims20. Appeasing the Taliban that’s inextricably linked to Pakistan is now gaining momentum even while the consequences of doing so are clear and present. The problem gets compounded by the fact that it is unclear how the relationship between Afghan Taliban, Pakistan Taliban, and the State of Pakistan will play out in the future. While Taliban [Islamic Emirate of Afghanistan] is useful to Pakistan in manipulating the strategic situation within Afghanistan, its reliance on Deobandi fundamentalism blended with Pashtunwali [Pashtun Tribal Code] is undesirable. According to former Pakistan President and Chief of Army Staff Pervez Musharraf, the general critique of the people of Pakistan against Pakistan military and intelligence agency in abetting the trend towards the talibanisation of Pakistan must be empathized in terms the strategic situation confronting Pakistan in late 1970’s. Any attempt by the state of Pakistan to adversely intervene with the Taliban at the ideological level framed in terms of religion [Islam] is likely to be severely conflictual and bloody. Since the initiation of the US led war on terror, Pakistan’s terror related civilian casualties are estimated to be in-between 50, 000 to 60,000. This instability leading to possible national crisis will have very direct impact on its immediate neighborhood and more particularly India. According to Mohammed Ayub Khan (“The Pakistan-American Alliance” – Foreign Affairs, 1964) – “It [Pakistan] stands across the great mountain passes through which all land invasions of the Indian sub-continent have taken place in recorded history….the Indian leaders have often stated that their true border extends from the Hindu Kush Mountains to the Mekong River, that is to say, wherever the influence of Hinduism has existed in the past…”21. While this is a fact, it has never been sought as a strategic objective by India and representative of Pakistan’s threat perception with respect to India. 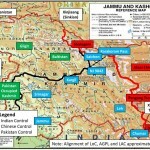 Contrary to claims made by Pakistan’s military leaders, senior diplomats, scholars, and media that it was the Indian desire to encircle Pakistan via Afghanistan that shaped Pakistan’s policy towards Mujahedeen (Holy Warriors) during the Soviet invasion of Afghanistan and Taliban during the post-Soviet withdrawal, up-until late 1994 India maintained absolute ignorance on northern tribes of Afghanistan. The first overtures by the northern ethnic minority groups were made to New Delhi in 1992 with the intention to exploit the growing animosity between India and Pakistan over Kashmir and thereby regulating Pakistani influence in Afghanistan22. It was former Prime Minister Narasimha Rao who first consented for an active Indian presence in Afghan politics and his decision to send Ambassador Bharadkumar to establish links only followed the fall of Kandahar to Taliban forces under Mullah Omar and Pakistan’s SSG. Prior to this development, the US had sought an active Indian presence in Afghanistan during Prime Minister Rajiv Gandhi’s government with Shri. Narasimha Rao as his defense minister (1985)23. An independent and non-aligned Afghanistan free of outside intervention. 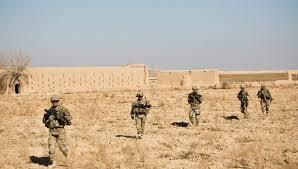 No direct military foot print in Afghanistan. With respect to its consistent policy on Afghanistan – though India may have strong sympathizers within various governments – like in the past India may find itself caught alone in the Taliban Myth(Ambassador Bharad Kumar). Furthermore, India’s principled position stands liquidated in recent time given the radical transformation in geo-political terms27. For example, India trains Afghan defense and police personnel who are predominantly Tajik. While India retains its unique principled position on Afghanistan, it has sought its limited execution in conjunction with the unfolding Great Game (The term “Great Game” is attributed to British intelligence officer Arthur Conolly)28. In other words India has never sought the objective of an absolute non-intervention on part of major extra-regional powers (Russia, the US, China) in Afghanistan – perhaps Realpolitik. While a state is defined in terms of its limited geography demarcated by defendable borders, its territoriality is not. The territoriality of a nation-state is embedded in its national consciousness (territorial) and hence intangible in nature. For example, the US armed forces by design are not seeking defense of the US territory but the “Kingdom of God” and the associated ideals. India’s territorial consciousness includes Hindu-Kush as the outer limits of its imagined geo-political space and hence must be treated as a matter of internal security from the perspective of thought experiment. Unfortunately, this geo-political space is contested between continental powers (Russia and China) and extra-regional maritime powers (Great Britain and the US) given that trade links between east and west are anchored within this geo-political space. According to Peter Frankopan – “….the halfway point between east and west, running broadly from the eastern shores of the Mediterranean and the Black Sea to the Himalayas might seem an unpromising position from which to assess the world”29. A minimalistic or nil roles for extra-regional powers within this imagined geo-political space. Relative increase in India’s comprehensive national power vis-a-vis other regional and extra-regional powers. Re-imagining the territorial configuration of Afghanistan, this in turn requires territorial re-configuration of Pakistan. The ongoing talks with Taliban to ensure stability in Afghanistan are a failure to learn from the past and opposed to India’s principled position in the region. From a strategic perspective this remains consistent with the US policies elsewhere in the Muslim world. Somehow, steering across instability is more valuable in realizing its geo-political ambitions. The US desires magnifying the problem prior to eliminating it – creating Islamic State. Within this instability based pursuit of strategic objectives by major stakeholders, India will need to think in terms of its long-term objectives and secure its geo-political space not just with respect to Pakistan and Afghanistan but also the Indian Ocean. This will take time! Edited by Barbara Elias, Posted – August 14, 2007. 2. Ahmed Rashid (2001), “After 1,700 years, Buddhas fall to Taliban dynamite” The Telegraph, 12 March. Available athttps://www.telegraph.co.uk/news/worldnews/asia/afghanistan/1326063/After-1700-years-Buddhas-fall-to-Taliban-dynamite.html [09January, 2019]. 3. Peter Bergen (2007), “Taliban-destroyed Buddhas may never be restored” CNN, 11 May. Available at http://edition.cnn.com/2007/WORLD/asiapcf/05/10/afghan.buddhas/index.html [Accessed on 09 January, 2018]. 4. Former National Security Advisor (NSA) Shivshankar Menon cited in IANS (2019), “Don’t worry about US withdrawal from Afghanistan: former NSA” The Economic Times, 09 January, 2019. Available at https://economictimes.indiatimes.com/news/defence/dont-worry-about-us-withdrawal-from-afghanistan-former-nsa/articleshow/67453375.cms [Accessed on 14 January, 2019]. 5. PTI (2019), “Pakistan may prefer weak, destabilized Afghanistan: Report” The Economic Times, 18 January. Available at https://economictimes.indiatimes.com/news/defence/pakistan-may-prefer-weak-destabilised-afghanistan-report/articleshow/67583287.cms [Accessed on 29 January, 2019]. 6. Reuters (2017), “Afghan government accused of ethnic bias” New York Post, 21 September. Available at https://nypost.com/2017/09/21/afghan-government-accused-of-ethnic-bias/ [Accessed on 10 January, 2019]. Thomas Barfield, Afghanistan: A Cultural and Political History cited in “Ethnic Groups” Norwegian Afghanistan Committee. Available at http://www.afghanistan.no/English/Afghanistan/Ethnic_groups/index.html [Accessed on 10 January, 2019]. 7. Shanthie Mariet D’ Souza (2007), “India’s Aid to Afghanistan: Prospects and Challenges” Strategic Analysis, Vol: 31, No.05, September. 8. Dinakar Peri (2019), “Rawat for US-Taliban Talks: It is in our interest, region’s interest and Pakistan’s interest” The Hindu, 10 January. Anita Inder Singh (2019), “The Great Game is Not a Zero-Sum Deal: India and China can work together, bilaterally and in multilateral groupings, to build a secure Afghanistan” The Hindu, 10 January. 9. General Mattis at the 2018 Shangri La dialogue and Former President Hamid Karzai at the 2019 Raisina Dialogue. PTI (2018), “India is Afghanistan’s most reliable regional partner: Pentagon” The Economic Times, 21 December. Available at https://economictimes.indiatimes.com/news/defence/india-is-afghanistans-most-reliable-regional-partner-pentagon/articleshow/67189340.cms [Accessed on 29 January, 2019]. 10. Ajai Shukla (2017), “India Does Not Need Boots on Afghan Ground” New York Times, 22 September. Available at https://www.nytimes.com/2017/09/22/opinion/india-afghanistan-pakistan.html [Accessed on 10 January, 2019]. 11. Major Shahid Afsar (Pakistan Army), Major Chris Samples (U.S. Army) and Major Thomas Wood, U.S. Army (2008), “The Taliban. An Organizational Analysis” Naval Postgraduate School(Monterey: United States), June. p.72. 12. “Enhancing Security and Stability in Afghanistan” Report to Congress [The US Department of Defense], December 2018. 13. Reuters (2019), “Taliban seek venue change for peace talks with US” The Economic Times, 06 January, 2019. Available at https://economictimes.indiatimes.com/news/international/world-news/taliban-seek-venue-change-for-peace-talks-with-us/articleshow/67411127.cms [Accessed on 14 January, 2019]. 14. “Afghanistan: The Crystal Ball is Fuzzy” The Citizen, 09 January, 2019. Available at https://www.thecitizen.in/index.php/en/thecitizen/subscribe [Accessed on 10 January, 2019]. 15. “Afghanistan: Background and U.S. Policy In Brief” [Updated 16 January, 2019], Congressional Research Service, The US Congress. Available at https://fas.org/sgp/crs/row/R45122.pdf [Accessed on 19 January, 2019]. 16. Summary of talks between President Trump appointed Zalmay Khalilzad (his Special Peace Envoy) and Taliban since October, 2018 cited in “Afghanistan: The Crystal Ball is Fuzzy” The Citizen, 09 January, 2019. Available at https://www.thecitizen.in/index.php/en/thecitizen/subscribe [Accessed on 10 January, 2019]. 17. PTI (2019), “No change in India’s position on Afghanistan, it supports ‘inclusive’ peace process: MEA” The Economic Time, 11 January, 2019. Available at https://economictimes.indiatimes.com/news/politics-and-nation/no-change-in-indias-position-on-afghanistan-it-supports-inclusive-peace-process-mea/articleshow/67489732.cms [Accessed on 15 January, 2019]. Dipanjan Roy Choudary (2019), “Will pursue strategic autonomy policy, says foreign secretary” The Economic Times, 11 January, 2019. Available at https://economictimes.indiatimes.com/news/politics-and-nation/will-pursue-strategic-autonomy-policy-says-foreign-secretary/articleshow/67480579.cms [Accessed on 15 January, 2019]. Ayesha Tanzeem (2018), “Afghan Government Distances Itself from Moscow Conference” VOA News, 09 November. Available at https://www.voanews.com/a/afghan-government-distances-itself-from-moscow-conference/4651819.html [Accessed on 15 January, 2019]. 18. “Progress towards Security and Stability in Afghanistan” Report to Congress, Department of Defense (The United States), October, 2014. Available at https://dod.defense.gov/Portals/1/Documents/pubs/Oct2014_Report_Final.pdf [Accessed on 15 January, 2019]. 19. Mohammad Zubair Khan and James Rothwell (2016), “Who is Haibatullah Akhundzada, the new Taliban leader?” The Telegraph, 25 May. Available at https://www.telegraph.co.uk/news/2016/05/25/afghan-taliban-say-haibatullah-akhundzada-appointed-new-leader/ [Accessed on 15 January, 2019]. 20. Kevin Sieff (2012), “A fight for Afghanistan’s most famous artifact” The Washington Post, 29 December, 2012. Available at https://www.washingtonpost.com/world/a-fight-for-afghanistans-most-famous-artifact/2012/12/29/ab2dc394-51cb-11e2-835b-02f92c0daa43_story.html?noredirect=on&utm_term=.f215a5d5d0a8 [Accessed on 19 January, 2019]. 21. Mohammed Ayub Khan (1964), “The Pakistan-American Alliance” Foreign Affairs, January Issue, Available at https://www.foreignaffairs.com/articles/asia/1964-01-01/pakistan-american-alliance [Accessed on 21 January, 2019]. 22. “Exclusive! How India reached out to the Afghan Mujahideen” Rediff News, 14 September, 2016. Available at https://www.rediff.com/news/special/exclusive-how-india-reached-out-to-the-exclusive-how-india-reached-out-to-the-afghan-mujahideen/20160914.htm [Accessed on 03 February, 2019]. 23. “Senior Interagency Group Meeting on Follow-up to the visit of Indian Prime Minister Gandhi, June 20” National Security Archive (The George Washington University). Available at https://nsarchive2.gwu.edu//dc.html?doc=5707160-Document-01-Senior-Interagency-Group-Meeting-on [Accessed on 03 February, 2019]. 24. “Ambassador Dean Cable to Secretary of State. Subject: Meeting with Prime Minister Gandhi, June 3” National Security Archive (The George Washington University), 1988. Available at https://nsarchive2.gwu.edu//dc.html?doc=5707184-Document-25-Ambassador-Dean-Cable-to-Secretary [Accessed on 03 February, 2019]. 25. “A New Phase in the Great Game: U.S., Soviets, India, Pakistan vied to shape a new Afghanistan in late 1980s” National Security Archive (The George Washington University), 01 February, 2019. Available at https://nsarchive.gwu.edu/briefing-book/afghanistan-russia-programs/2019-02-01/new-phase-great-game-us-soviets-india-pakistan-vied-shape-new-afghanistan-late-1980s [Accessed on 03 February, 2019]. 26. “Exclusive! How India reached out to the Afghan Mujahideen” Rediff News, 14 September, 2016. Available at https://www.rediff.com/news/special/exclusive-how-india-reached-out-to-the-exclusive-how-india-reached-out-to-the-afghan-mujahideen/20160914.htm [Accessed on 03 February, 2019]. 27. MK Bharadkumar (2008), “India Caught In The Taliban Myth” Counter Currents, 11 July. Available at https://www.countercurrents.org/bhadra110708.htm [Accessed on 03 February, 2019]. 28. Kallie Szczepanski (2018), “What was the Great Game” ThoughtCo, 03, August. Available at https://www.thoughtco.com/what-was-the-great-game-195341 [Accessed on 03 February, 2019]. 29. Peter Frankopan (2015), The Silk Roads: A New History of the World (Bloomsbury: London), p.xiv-xv. is with Jilin University, People’s Republic of China.